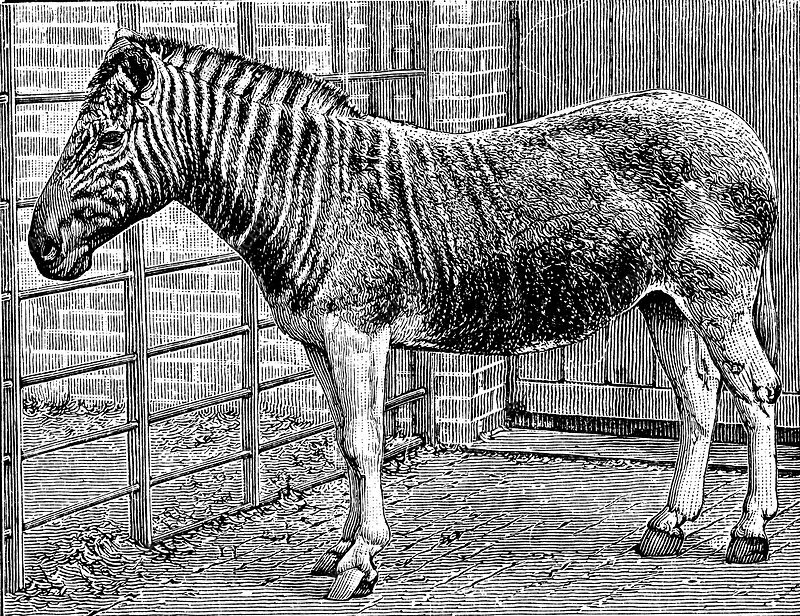 Quagga mare in London Zoo, c1870. Extinct South African mammal of the Horse family. Engraving of a photograph.